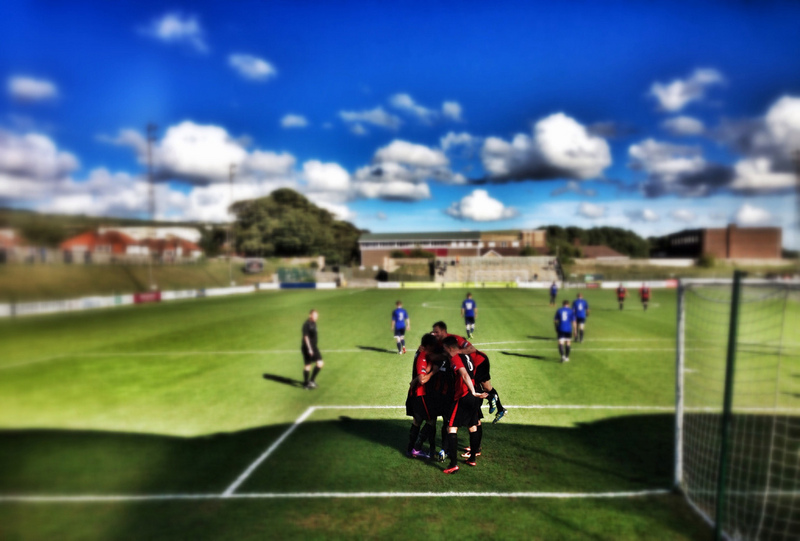 In the space of four years, Non League Day has become a fixture in our footballing calendar. Today, even Premier League fans are starting to realise that there is life outside of the sanitised environs of the greediest league in the world, and for the price of a Premier League burger, you can actually see a whole 90 minute match, standing where you want and even, whisper it quietly, in some ground, having a beer whilst the game is going on. For us Non-League fans there isn’t really anything special about the game this weekend. After all, every week is a Non-League Day. We don’t need to be converted, we saw the light some years ago. However, this year, against the backdrop of a record shopping spree by English clubs during the transfer window, it appears that even the big clubs are realising that they can help out their little neighbours by putting an advert in their programme or on their website for games this weekend. Even Sky Sports have got in on the act, spending some time down at The Pan this week understand what Non-League football is all about and why it offers such a cathartic alternative to the Premier League. However, could the footballing authorities done more to help the Non-League game? Absolutely. Off the top of my head, how about these three ideas:- 1. With no Match Of The Day on the BBC on Saturday night, why don’t they take the cameras to three or four Non-League games this weekend? What a perfect showcase for the game. Every club has a story to tell, whether it is about famous fans, charming grounds or simply the Non-League fans themselves. 2. With three international “double-headers” per season, why don’t Premier League and Championship clubs play friendlies against local Non-League sides? After all, with squad sizes of 40 or more first team players, even the top sides would only lose half of their squad to international duty. So instead of them going on an extended binge, why not take a side down the road to play against their local Non-League side? The squad would get a decent run out and the Non-League club would get a massive revenue boost from an additional game which would likely bring in higher than average attendances. West Ham playing a friendly against Ilford, Clapton or Barking would keep the club afloat potentially for a couple of seasons. 3. What about Sky scrapping the charging model for its services for clubs that mean that the monthly subscription for Sky Sports is based on the rateable value of the ground. NOT the actual club house, but the ground, meaning that for a club like Lewes, Sky Sports would cost us over £850 PER MONTH. Just up the road, the Brewers Arms has a much lower rateable value, as it is significantly smaller than The Dripping Pan and so fans go there to watch their lunchtime game, spending money over the bar which could have gone towards the club coffers. Fanciful? Well, it seems BT Sport have the right idea, offering a flat rate of less than a quarter of the cost of Sky Sports. But we know these ideas would just fall on deaf ears if the authorities were asked about them. They simply have no motivation to help. The Non-League game isn’t a money spinner for the TV companies, an attractive option for many Premier League and Championship clubs. Instead Non-League Day is about trying to attract those fans who may live on the doorstep but for one reason or another have never crossed the portal. That’s modern football for you. Ah yes, modern football. How apt that for Lewes’s NLD game against Met Police that the match sponsors would be STAND, the footballing movement who stand against many aspects of the modern game. They would be joining The Football Tourist in the homely confines of the Rook Inn, enjoying some home-made ham sandwiches in the Board-a-kabin at half time. And who exactly is the Football Tourist, I hear you say? Well, it’s really me. Big surprise there. The Football Tourist represents two years of my life, travelling around the world watching games, sampling local hospitality and occasionally taking in some local culture. OK, well, once in Glasgow. 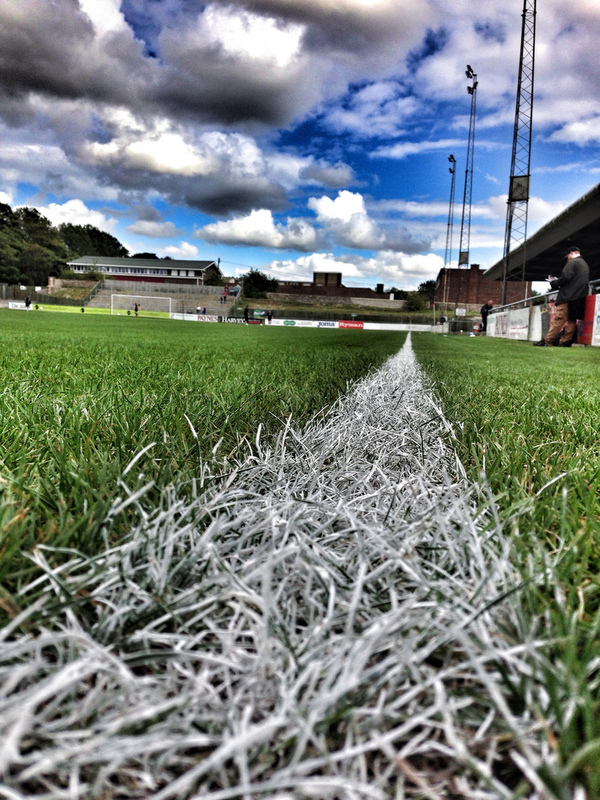 What better place to let the Football Tourist out of the box than at The Dripping Pan. The season had started well for The Rooks. Seven games in and Little Miss Defeat hadn’t been seen so far. The most successful teams in history are built on a mean defence and that is exactly what the new management team has delivered so far. The Lewes fans, so used to suffering even this early in the season don’t know what to moan about. Crowds are up and the Jungle was buzzing with optimism as the two teams took to the field on a perfect Sussex afternoon. 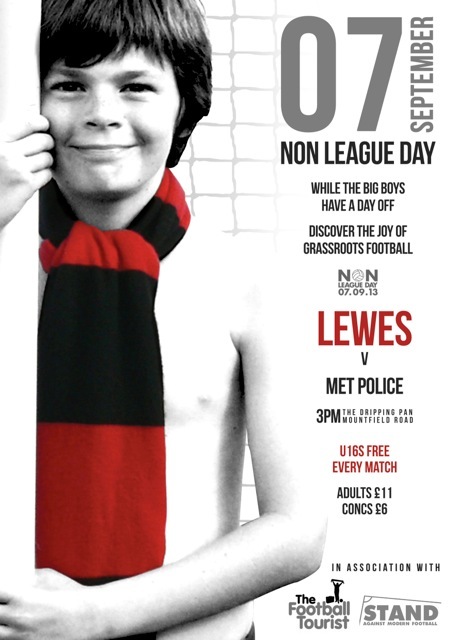 Lewes 2 Metropolitan Police 2 – The Dripping Pan – Saturday 7th September 2013 “Don’t worry…this is a very different Lewes side. We don’t panic and we certainly wont throw this one away”.….4:47pm as Met Police suddenly found out where the penalty area was, threw a ball in and somehow pulled a goal back. We were in the 3rd minute of the four indicated by the referee and the visitors had just got reduced the arrears to 2-1. Forty three seconds later they scored a second. The ground, previously a cauldron of noise, fell silent. The one Met Police supporter appeared to have disappeared. Lewes manager Garry Wilson took his frustration out on an advertising hording. The fans on the Philcox couldn’t believe that we had just conceded 2 goals to a side with 10 men in less than a minute of injury time. And then it started to rain. Rough Justice? It was veritable who’s who of football writing royalty in the Pan for Non League Day. Ian King from 200%, Mark from 2nd Yellow and of course David Hartrick from IBWM and Ockley Books who was matchball sponsor. Now the privilege of such a role these days at Lewes is to lead the teams out…We can even provide full kit if they really want to get into the spirit. Unfortunately David was just late enough to miss out on that honour. Funny that. The first half wasn’t the most exciting affair although Lewes did come the closest to scoring on a number of occasions. However, it was enlightened by the ridiculous sending off in the final minutes of the half of the Met’s, and ex-Lewes player, Stefan Cox. Quite how he could have argued for so long about the decision is bizarre. The referee had warned him twice about persistent foul play before he finally booked him and then just a minute later he went in late on Sam Crabb. Still, it gave us an opportunity to bring out the tired cliché about how hard it is to play against ten men. Watered and fed at half time we took our place on the Philcox, whilst the Met Police fan went up the other end to stand. Ten minutes into the second half and we finally had something to cheer about as Sam Crabb pounced on a loose ball in the area and scored his first goal for the club since he rejoined in the summer. Now we were motoring. One became two in the 79th minute as Nathan Crabb took advantage of hesitation in the Police defence and side-stepped the keeper before slotting home. We were home and dry and heading back into the Play-offs. The mood on the terrace was one of satisfaction, a job well done and the post-match celebrations could begin. Four minutes of injury time to be played. And then the wheels fell off the wagon. Steve Sutherland, Met Police’s centre-back scored the first and to tell you the truth none of us saw who scored the second a few moments later. Without using too many clichés here about the Police, we had been robbed. Despite the bitter disappointment at the final score, Non League Day had been a success. With no away fans to speak of we had seen the highest Ryman Premier League crowd of the day (bar Maidstone United) and had delivered 90 minutes of incident for those Non League novices to take away. If just 10% return at some point in the season then you could say the whole day has been a roaring success. Perhaps next year we will find time for a 94th minute winner? We can but dream.